Detroit Horse Power lifts, heals, and empowers! David Silver shares an update on all of their expansion in the hearts and minds of the Detroit Youth! Community partners make his organization strong and talent-rich. Great song by a Detroit artist! Kids and horses are a great match. Romy: Hi everyone, this is Romy and I would like to extend a warm welcome for tuning back into the Bonfires of Social Enterprise! We catch up with David Silver of Detroit Horse Power on this episode. David shares how he has benefited from using community partners and some strategies on how he selects talent for his team. And, of course, we have a wonderful song for you to debut from a Detroit artist at the end of this episode. Hudson: My name is Hudson Robertson and I am bringing the Fun Fuel for this episode. These are some interesting facts from the article “30 Things you probably didn’t know about horses” by Mihaela Husar in the September 17th of 2013 publication. Did you know that An adult horses’ brain only weighs about half that of a human- 22 ounces? Did you know that Horses have good taste in music? They like listening to classical music, finding it comforting and serene. Did you know that A horse heart weighs 10 pounds?! Did you know that horses cannot breath through their mouths?. Did you know that horses drink at least 25 gallons of water a day, even more in hot climates? Did you know that Horses’ teeth never stop growing? Did you know that the oldest horse on record has lived until the age of 62 years? Well, I hope you enjoyed these fun fuel facts on horses. This is Hudson Robertson, enjoy the show! Romy: Thank you Hudson – love the fun fuel! Romy:	Okay, so let's catch up. What's happening with Detroit Horsepower. We touched base with you mid-year, 2016. Now, it's ... at this time that we're talking; it's early 2017. I've been following some of your social media, but I'd love to get an update of where you're at. David:	Absolutely. When we last spoke, we were just getting ready for our 2016 Summer expansion. We got started in 2015 with two weeks of summer camps that had 18 participants, and we grew. Summer 2016 was a big expansion for us. We had six weeks of camps with 91 participants. 11 of those original 18 were back for a second year which was really exciting. Those kids were ... had been waiting eagerly for horse camp to come back. We were able to grow and give an additional, 70 plus kids, that unique enrichment. 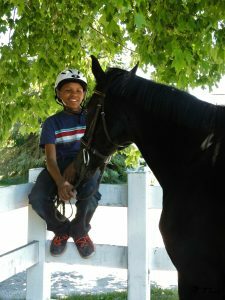 We had a really fantastic partnership this summer with a horse facility called, Ringside Equestrian Center, which is out in New Hudson. It's out 96 on the way to Lansing. It's not that close to Detroit. It took us about 45 minutes each day, but really wonderful folks who donated the use of their space and their horses to continue in this pilot model, where we're bringing kids to where the horses are for the summer programs. Romy:	Awesome. How many did you have the year before? 91, that's amazing. David:	Big expansion over 18. 2015 was really like, proof of concept. We had never done it before. This isn't currently being offered in Detroit, so we just got started, got our feet wet in 2015. Then, really made a big push to do a lot more in this past year. Getting a little ahead of the conversation, but, there is lots of exciting things coming ahead in 2017. Romy:	While we're on the kids, did you notice something different about the 18 that came back? David:	Out of the kids that came back, they started from a place of comfort and excitement and confidence. They had already been around horses. Kids in our programs, coming from the city, tend to start out nervous, maybe a little uncertain, sometimes even afraid. You want to try that one again? Sorry, that's my dog. Romy:	No, that's okay. We're pet-friendly around this podcast. David:	Cool. When kids are coming in, for the first time, day one is usually just an orientation. There's a lot of unfamiliar pieces of equipment. It smells very different out in the horse barn. It's kind of like being transported into a very foreign kind of environment. There's the word, the vocabulary. Having kids who have been in the program before, they just jump right in. They were able to teach the newer participants ... Or, at least, get them feeling more excited and more comfortable, starting out on the week. It's just going to keep building as we go into year three. We've got some exciting plans for our most experienced students. Romy:	We'll get to other space type things in a minute, but ... The average age group is that still middle school type age? What's the age range now of the participants? David:	This year, because we had more kids, we had a bigger range of ages. We had as young as six, which is actually younger than we were necessarily anticipating. She did great. We had several high schoolers for the first time, which was also really exciting because we can do a lot more in some ways. We can engage on a higher level with the older kids who are just able to process things differently than our younger students. We are continuing to work with community partners, so we worked with ... Year one, our students were from Burns Elementary and Middle School, which is where I used to teach and from Alternatives for Girls, and those partners returned in 2016. We added four new partners that we worked with, Summer in the City, Denby High School, Friends of Parkside, and the Downtown Boxing Gym. Romy:	We connect with quite a few of those organizations. You're hitting all of the front line folks, trying to surround the youth with alternatives to what they see on a daily basis. David:	Those kinds of collaborations are so valuable, especially for a newer organization like ourselves. Most of those partners were able to help facilitate transportation to get the kids out to the program each day. They already have a population of kids that they're working with and help us identify who will benefit most from this unique kind of enrichment. It feels really good to be building on the work that has already been going on for many, many years in Detroit because we're much stronger when we work together. Romy:	No question, I feel the same way about all things going on in the Detroit area. Is there anything ... I've been wanting to ask you this ... Now that you have two seasons under your belt. Was there anything that surprised you about some of the kids reaction or growth, now that you've had ... You've had the same 18, but let's say, more than 100 kids have come through, interacting with the horses, many for the first time, is there anything that surprised you either way? Pleasantly or, oh, I've got to change that out next time? David:	I continue to be impressed. Not necessarily surprised, but impressed with how talented our kids are. There is a real knack for ... Whether it's the bond, they have with the horse and the real, thoughtful care that they show when they're learning about the responsibility involved for horses. 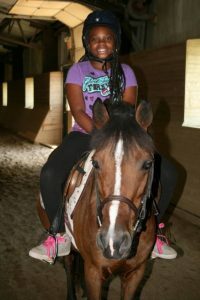 Their skills as young riders, to go from never having seen a horse, to trotting independently on the last day of camp, is ... Just continues to impress me and gets me really excited about the long-term trajectory, because we only have these kids for five days and if they are accomplishing this much in just a week when we have year round programming that's located in Detroit, then, the possibilities are really just endless. Romy:	What are your thoughts for this coming summer? Is that part of the location in Detroit? David:	The location part has some separate updates, but yeah, 2017, we're going to keep growing. We had six weeks with 91 kids this past year. 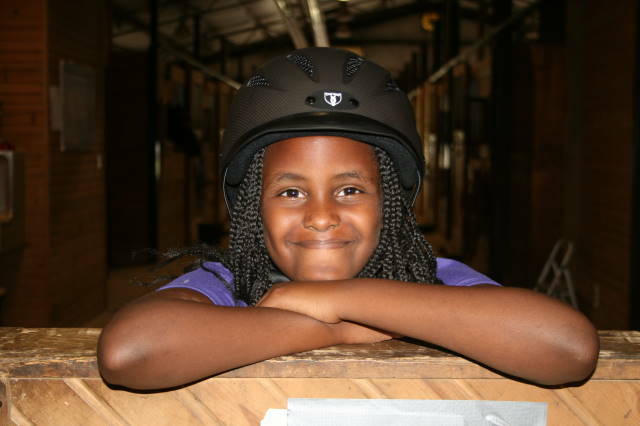 We're going to have eight weeks; we're projecting 150 participants in 2017, which is terrifically exciting to keep ... We anticipate bringing as many of the 91 back in year three and then having an additional, roughly, 60 slots that we can get kids their first horse experiences. We're going to add, as well, a leadership cohort where some of our core kids who have been returning, year after year, are going to have longer than a one-week horse camp. They're going to come back for ... We're anticipating four weeks in a row. Those kids will develop a lot more horse care and riding skills because they will have quadruple the amount than they've had in previous years. Also, take on some of the leadership for teaching the new students which is real exciting, I think, in imagining what does impact look for us in the long run. When our students feel empowered and able and excited about what they've learned, and they're able to articulate that and teach it to new kids. That's where we see, really sustainable and broad-based change for our young people. Romy:	It grows your capacity somewhat. That's exciting. David:	Incorporated with the state of Michigan February 2015, so as of this recording we're not quite two years old. And there has been a lot of exciting growth in the past couple of years, and we've reached this really exciting and daunting transition point where I founded the organization, I've been the primary person throughout the organization's lifetime, we have a phenomenal board, the board grew from three to six members this past year and they've been stepping up in core areas to support our operations and our long-term growth. And we're adding staff as well, so in some ways, it's a bit sad for me, I'm not going to be the one day-to-day leading the programming this summer. We're going to have some of our core volunteers come on as paid staff at Detroit Horse Power, and they're going to be running the show, and I get to be there as much as I can. But also with the flexibility to continue to meet with the city to pursue our site selection and engage in the fundraising that we need to pursue in a long-term vision for Detroit Horse Power's success. Romy:	Right, David, that's exciting, and I know what you mean. It's hard to start to move away from some of the details or some of our management team calls. It's exciting to get out of the weeds, but it's sad to leave the weeds because that's where all the good stuff happens. David:	Yeah, that's where the work is right? David:	And where so much of its been getting done over the past few years and it's really exciting to have other phenomenally talented people join our team to carry the work forward but I think it's at a moment of growth for both the organization to grow in our capacity to accomplish more impact for kids, and also reflecting on my growth as a leader and transitioning, adding new tools to my tool belt. I'm still pretty young and learning all the time, there's been a really steep learning curve, and this just is another step along that mountain that we're climbing to realize all the ambitious goals that we've set out. Romy:	Right, and how have you, just for other listeners, this is always a topic of interest, how did you go through a formal decision process to decide which of the volunteers to bring on, or did you go by instinct? I tend to work a lot by instinct and what I see people do in their behavior. So I've never had a formal process and I probably should. Did you engage in some sort of strategy when you went to decide or did you just say, "Hey, I think you're a fit." David:	I feel really lucky that I've had great mentors who have helped with our strategic planning and some of those sessions were difficult. They were making very clear that not growing and investing in other people is really putting the long-term growth, potentially not all the work can't get done if it's just me because of the pace of growth that we've seen. The process from there was relatively informal, I had sort of a core group of folks that's been stepping up in some cases, really since the beginning, and some folks who have joined us more recently, but it was pretty clear when it came time to make a decision that it had to be somebody who I could really trust who was going to be a good thought partner and a compatible match for the skillsets that Detroit Horse Power needs and my own needs in growing the team. So we sat down with three of those core volunteers and had a conversation about the roles that we were trying to fill, and it was pretty clear really from the beginning that there was one person who was uniquely suited to address multiple roles and really step up in a great way and we've been working together really well for the last six plus months. This process has been really stressful in some ways. It's new, and I'm learning and trying to figure it out with a lot of questions that you have to wrestle with, and IRS guidelines that you have to make sure that we're compliant with. And just the individual, making sure that she's appropriate compensated and that we're working within Detroit Horse Power's financial capacity and that the workload is reasonable and all the stuff that I've never done before, and very glad to have patient and hard working people along this journey with me to assist along the way. Romy:	[crosstalk 00:16:36] talent can really sit and thank god for good advisors and good talent that has surrounded us, it's really pushed me in the same way. So I get it. And so in that transition, it's great because truly, truly, you are such an advocate and spokesperson for why the youth need to come around the horses and using the space and so you do need to be out expanding the role and the financial capacity. So is that the role you're going to take, you're really going to work more with fundraising and seeing if you can move it from eight weeks to ten weeks or twelve? So let's go there. David:	Well yeah, exactly. So our goal is to expand it to 52 weeks so that we can have year-round programs in the city limits and certainly fundraising, is going to be a big part of that in terms of the ambitious operating budget that we've set for this year and our operating budget that will come together for 2018, but more so building the donor relationships and foundation relationships and opportunities for corporate philanthropy that are going to help us reach the long term goal of repurposing vacant land to build a new urban horseback riding center where these programs can be available all throughout the year right in our kids neighborhoods. So fundraising is a big piece of that, and then there's the [inaudible 00:18:11] of city approval and site selection, finding the right fit of space that horses are going to do well on, fifteen to twenty acres is our target, that doesn't have soil contamination, and is in a neighborhood that where community members want horses to be part of the neighborhoods future. There are some continued progress in those fields. We're having good conversations with council and the mayor's office about the proposal that we're moving forward with and narrowing the scope of our site selection, we're really excited about an abandoned golf course in Northwest Detroit where community members have been very supportive of horses and a portion of Chandler Park on the east side where we think we'd do well and we worked with kids on the adjacent housing development that's right next to the site that we're interested in, and those kids had a phenomenal time and would be our biggest advocates if that was where we focused our energies. Romy:	Wow, and so really it's continuing to walk through the process, and I don't think people realize how long it takes. Everyone says to me things like, "Oh it's Detroit, there's all this property up for grabs." But just as you mentioned, and we talked about this in your first episode too last season, that there's other issues, like the soil can't be contaminated and it sounds simple, but I'm sure there's a lot to that process and then how do you contain some of the waste, right? Those all have to factor in right? David:	Absolutely. We've put together a good starting point on our facility management plan, which has to make sure we're good neighbors. Bringing horses into a denser urban environment, things are going to have to be different than a traditional 50-acre horse property where you could spread your manure on your own fields. We're going to have to be more strategic in waste removal, which hopefully can be done in a way to compost and support local agriculture. We're going to need to make sure that the horses are secured, in terms of if a horse got loose, it's not going to end up on a roadway or in somebody's front lawn. We're designing a space that residents feel at home at. We want this to be a real community hub, where neighbors feel a sense of ownership and belonging through both the youth that are participating in our programs, but also that the design that we engage in will meet the community's needs in other ways. That could look like block club meeting space; it could be space for regular cookouts and community gatherings, other kinds of recreation. We're very excited to hone in on one particular site where we can use the voices of resident to draw out exactly what this is going to look like. We have this terrifically unique opportunity to do something on a scale and level of impact that other cities can't entertain. There are precedents of horses in other urban settings, but they're mostly using Legacy infrastructure from old mounted police stables, or they're kind of squeezed in into, development sort of surrounded them and they're pretty constrained. We have a really unique opportunity. Like you said, it doesn't happen overnight. 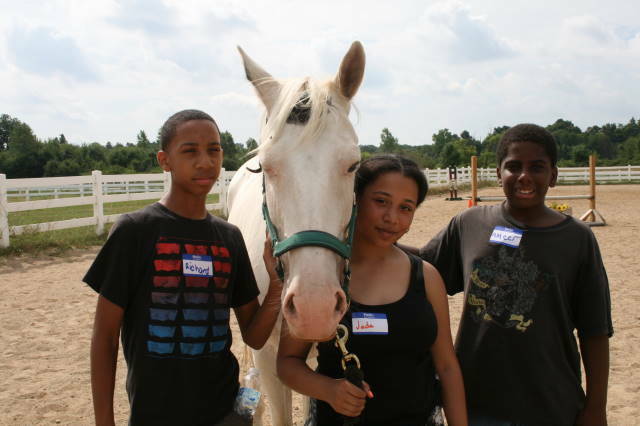 There's many, many hurdles to jump and in relationships that we're building to take the time and make the case, and explain to folks who don't necessarily have a horse background why horses can be a tremendous force for good in the lives of youth and in building stronger Detroit neighborhoods. Romy:	Yeah, it's super exciting. I want to leave us time really quick to ask about just two other things. It was always the thought in the beginning that you would eventually, later on, add on what I would call the enterprise area of your [inaudible 00:23:08] by maybe boarding some of the horses in that. Has that changed at all, or is that still part of the long-term plan? David:	It is. It hasn't changed, but it's getting kind of an update. We are currently working with ... I should say; this got started, we went through Wayne Stakes Program. It was called Blackstone LaunchPad, and it's kind of been rebranded as Innovation Warriors, which was a business plan coaching competition, which really built off what we started developing through the Build Institute Social Entrepreneurship Program, which is where we met Romy way back in the day. There were a lot of assumptions in the work we did there. It was a great start, but it really needed some additional work. We've been, over the last couple months, working with business school students from the Ross School at U of M. They have a program called Detroit Revitalization and Business. We have four grad students who are helping improve our market research with some improved surveys that we're rolling out now, testing some of the assumptions we made on the cost side to make sure our models are pretty rigorous about the liabilities involved with horse boarding, and that the financial model really is sound; that there's a market that will be able to at least cover the cost. Where there's not a whole lot of profit in horse boarding, it's a pretty good industry to break even. That's an exciting prospect for us when we have significant fixed costs in labor, in maintenance, in insurance and utilities. If we can cover those basic operating expenses through earned income, that's a really exciting prospect for our long-term financial sustainability. Romy:	Yeah, it allows you to continue to grow. After a while, it's hard to continue to grow your donations and grants every year, in addition to keeping the same momentum. Everybody has life changes in organizations that give; it helps to pay for some of that. I just wanted to highlight that for a minute and just talk about how wonderful and responsible you've done this. I find social entrepreneurs across the board get a lot of pressure to do both the enterprise and the social at the same time. In my opinion, from what I've witnessed over the last 15 years as I've started to focus on this, it's rare that they both get started on even footing right out of the gate well. It's really more common to start out of a non-profit and then add in the enterprise element or vice versa, get your enterprise going and then add on the social. While it starts out as the intent, and that's what you really want to move towards. It's not always practical, depending on the style of your organization, to launch with both and do it perfectly. I just want to encourage, because people don't move forwards sometimes. I hear a lot of people saying, "Well, I got to wait until this is all perfect." It doesn't work that way, every once in a while we see them pop up with exactly a 50/50 mix and that's amazing. It's less likely than moving towards your goal over time. That's why we have all these wonderful structures. I guess I just wanted to highlight and comment you on your courage to stay in your lane for until it made sense to add on the other piece. David:	Yeah, I totally agree. In some sense, we've had advantages of building out our social impact model, and then continue to refine and expand the vision for the social enterprise. A lot of our outreach has been to horse folks. I think that when we open the facility and have our first crop of boarders, a large percentage of them will be past Detroit Horse Power volunteers. 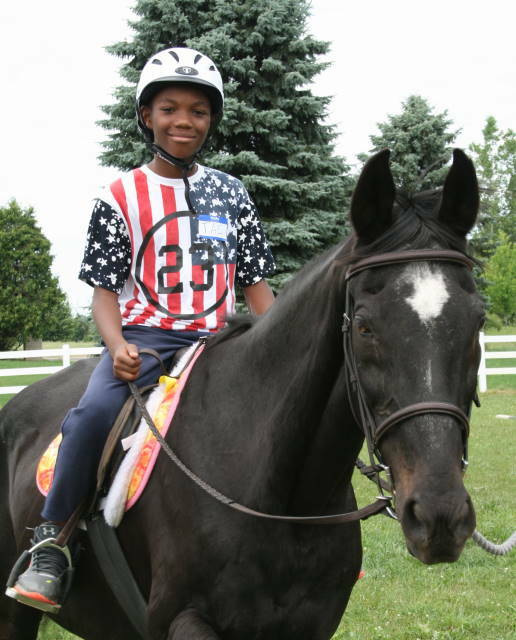 These are passionate horse folks in the metro Detroit area that we've been reaching out to for our social impact side, and they're actually part of our target market from the boarding side as well. We happen to be, I think, in a stronger position when we successfully launch the enterprise side because of the marketing and branding, and just the customer discovery and the outreach that we're able to do in the meantime through our non-profit work. Romy:	Yeah, there is such a strengthening when you just organically grow the way it makes sense. I always try to say; it's exciting to be in a hurry, but we don't have to be in a hurry every day. Every day that you stay at your mission, no matter what direction you're coming from, the enterprise first or the social first or both; every day that you get up and you make an attempt to run the shop again or run your organization, somebody's getting helped along the way. The world is better for its existence in most cases. I just want to cheerlead. Romy:	Yeah. I think it's coming soon from what I understand. I just want to thank you for all the stuff you're doing through the years with these horses, and all the teaching that we know, you're doing way beyond teaching them how to ride and care for a horse. There's so much impact that comes off onto these kids. Thank you, David. We will be circling back for interview three pretty soon; I have a feeling. David:	I look forward to it. I really appreciate taking the time to share our story; both being very proud of what we've done so far, and excited for the many, many things that are ahead. We're moving forward and having platforms like this to share the journey is great for us. Thank you so much for taking the time. Romy: Thanks so much David for taking the time to give us an update. I just have this feeling that big giant things are going to come out of that organization! David is just incredibly steadfast.